The Saint Teresa Catholic Church began with the Joy of the Gospel Campaign. 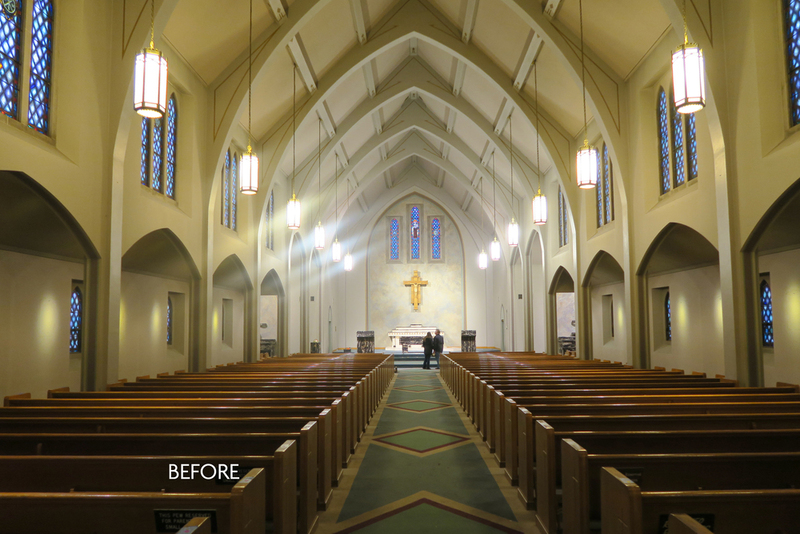 The parish chose to replace flooring, paint walls, add to the sound system, modify the choir loft, and add decorative wood paneling to the sanctuary walls. 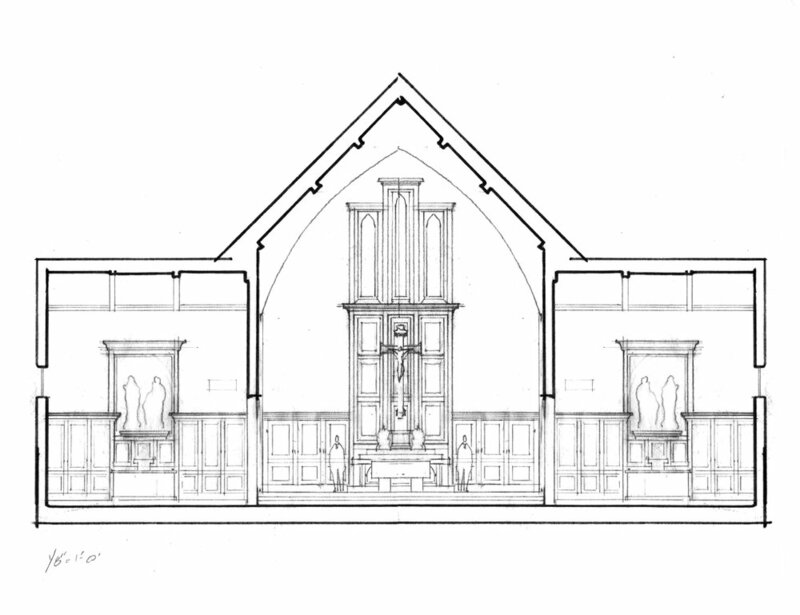 Our goal was to bring more focus to the sanctuary and draw one's attention to the tabernacle. The original marble side altar fonts were exposed to show the names of Joseph and Mary carved into the black marble front panels. After asbestos tile is removed within the nave, new ceramic tile will be installed in the aisles and vinyl flooring under the pews. The original single-color paint scheme within the church is being replaced with multiple paint colors to help accentuate the low Gothic building forms. The ceiling will be painted a deep sky blue with hand-stenciled gold stars and the walls a warm limestone color. The entire renovation was completed in only two months and within the $390,000 budget.